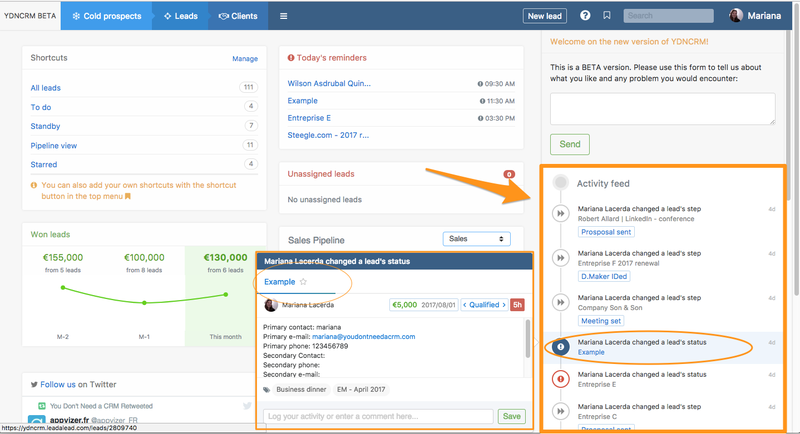 Using the Activity Feed to Manage your Team · You Don't Need a CRM! When you’re a Manager, you want to know where your salespeople are at and how they are working. You need to be able to analyze their performance but also give them advice and guide them so that they can succeed at what they are doing. Using the Activity feed of your no crm.io account will enable you to micro-manage your team and know what are the latest leads your sales team has been working on. You can easily go through them and comment on them, to congratulate or give advice on how to proceed during the next phase.